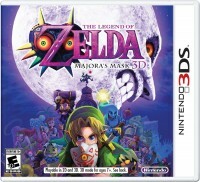 Will Zelda: Majora’s Mask 3D eliminate loading between areas in Clock Town? 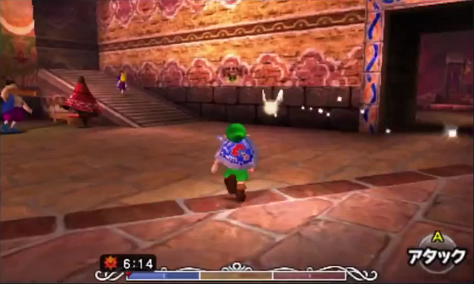 The Legend of Zelda: Majora’s Mask 3D is making a number of improvements to the original game. Nintendo hasn’t detailed all of the changes, but we’re aware of things like enhanced visuals, an improved boss battle, and the inclusion of fishing. Another improvement may concern the handling of Clock Town. Those who played Zelda: Majora’s Mask on the N64 are well aware of the different sections of Clock Town. There’s North, South, East, and West areas. Each time you head into a new section of the town, you’re presented with a brief loading period. Notice how the doorway leading to West Clock Town shows a clear view into the east wing. Normally we would have expected a black loading indicator instead. On another note, the entire town itself seems to have been updated. The Laundry Pool entrance, for example, is now much clearer and not hidden. Last but not least, the area behind Clock Tower extends much further. That would suggest that the entirety of East and West Clock Town can fit behind the walls in a natural way unlike the N64 version.